Annelies Marie "Anne" Frank was born on 12 June 1929 in Frankfurt, Germany, the second daughter of Otto Frank (1889–1980) and Edith Frank-Holländer (1900–45). Margot Frank (1926–45) was her elder sister. The Franks were liberal Jews and lived in an assimilated community of Jewish and non-Jewish citizens, where the children grew up with Catholic, Protestant, and Jewish friends. The Frank family did not observe all of the customs and traditions of Judaism. 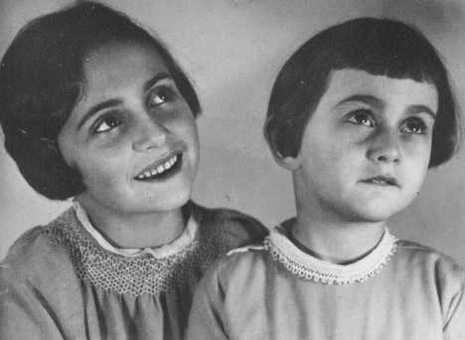 Edith Frank was the more devout parent, while Otto Frank, a decorated German officer from World War I, was interested in scholarly pursuits and had an extensive library; both parents encouraged the children to read. Anne Frank was one of over one million Jewish children who died in the Holocaust. She was born Annelies Marie Frank on June 12, 1929, in Frankfurt, Germany, to Otto and Edith Frank. For the first 5 years of her life, Anne lived with her parents and older sister, Margot, in an apartment on the outskirts of Frankfurt. After the Nazi seizure of power in 1933, Otto Frank fled to Amsterdam in the Netherlands, where he had business connections. 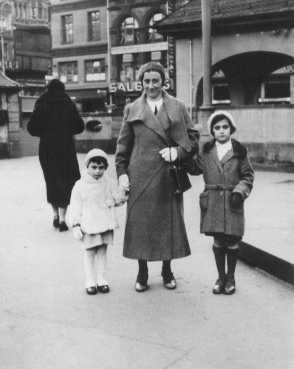 The rest of the Frank family followed Otto, with Anne being the last of the family to arrive in February 1934 after staying with her grandparents in Aachen.